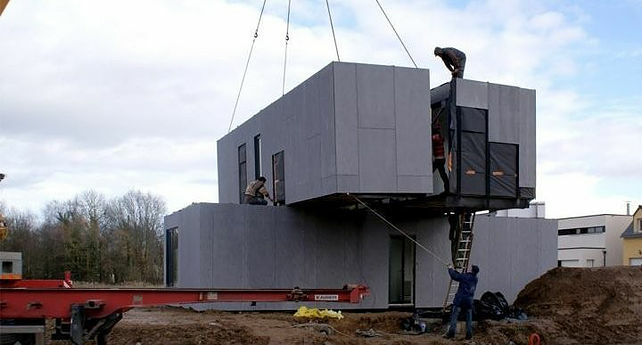 There can be no doubt: the modular (also known as “offsite”) construction concept is becoming more and more important to the construction industry. Quality, time, and labor advantages in modular construction make good alternatives to traditional techniques. Modular has been relatively slow to catch on because of the industry’s nature to resist change; no one wants to be “first.” However, once something catches on, it takes off pretty quickly. The president of Rider Levett Bucknall believes modular is beginning to overcome that obstacle. The number of housing units does not keep pace with world population growth, and “homes built with pre-fabricated elements may be the way forward.” By 2022, the industry is expected to rise 6% globally. Sweden leads the charge with 84% of detached homes built using modular methods. In Japan, modular construction is used in 15% of semi-detached or detached homes. Modular construction anticipates gaining momentum, especially in the health sector, because it minimizes waste and cuts cost. The modular industry has developed new technologies and practices to make this construction method even more beneficial than before. Growth in green building has also made modular construction more appropriate due to natural energy savings aligning to green objectives. Some construction firms operate like manufacturers, assembling offsite using standardized parts and processes then completing the construction on-site. In addition, the first Multi-Trade Prefabrication Conference is being held this year in Dallas, indicating the growing interest in this facet of modular construction. Recent, high profile projects are partly responsible for the growth of modular designs. Owners are starting to become comfortable with the realities of modular: results are as good as those built on-site, and work can be done faster and for less money. The Modular Building Institute estimates that about 3% of new construction is modular and expects that to grow to 5% by 2020. Perhaps now is the time for you to seriously consider adding modular design to your standard toolkit. We can help you with the technology; it’s not as complex as you think. Just ask! Vertex BD is a flexible building design tool that automates the creation of architectural drawing sets, panel fabrication drawings, material reports, manufacturing data, and architectural visualizations, all from one building model.